It’s a simple and automatic way for you to support our PTA every time you shop at Amazon. Simply go to: smile.amazon.com and you’ll find the exact same low prices, vast selection and convenient shopping experience as Amazon.com, but a portion of the purchase price goes to our PTA! Just log in to Amazon Smile and choose View Ridge Elementary PTA as your non-profit! 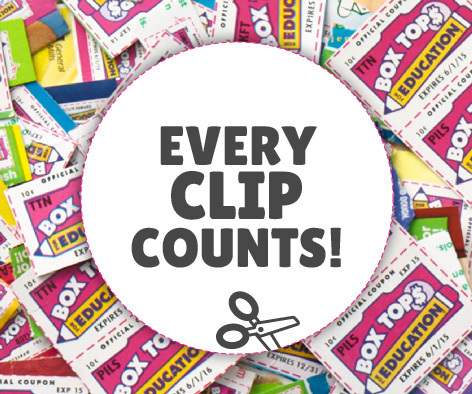 Help our school earn cash by clipping Box Tops from products and sending them to school. Each one is worth 10¢ and helps the PTA fund things like classroom books, supplies & teacher grants. 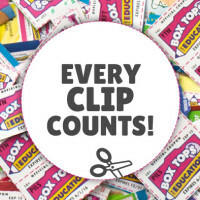 Every month the classroom that collects the most box tops per child receives a class prize and the right to proudly display the Box Tops Trophy for the following month. The classroom that collects the most Box Tops during the year will win a class popcorn party in June. Find a list of products with Box Tops at BTFE.com/products. Register your credit card and/or debit card numbers. When you shop online, go to www.eScrip.com. Click on “At the Online Mall” and then select the site you want (e.g.Macy’s, Lands End, Gap, Nordstrom, Pottery Barn, car rentals, J Crew, and many more). Pay with one of the registered credit/debit cards. Each store gives a certain % of your purchase to our school (the percentage appears in the online mall). Every time you use your Fred Meyer Rewards Card linked to View Ridge PTA, the school will accumulate points. At the end of each quarter, Fred Meyer will make a donation to participating nonprofits based on the accumulated spending of the Rewards customers linked to each nonprofit. Create an account or Log In. If you don’t have your rewards number, you should be able to enter your 10-digit phone number you used when you opened your account. Having trouble getting it to work? Call customer service at 1-866-518-2686. You will be able to use your QFC card number if you don’t have a Fred Meyers Rewards Card but purchases at QFC won’t count, only those at Fred Meyer. Search for our View Ridge PTA by our name or by our non-profit number 89382. Now every time you shop and use your Rewards Card, you are helping View Ridge PTA earn a donation! You will still earn your Rewards Points, Fuel Points, and Rebates, just as you do today. Register by filling out an in store registration form, calling 800-931-6258, or registering online at https://secure.escrip.com/signin/index.jsp. If you need a View Ridge code, our school ID # is 8567592. Shop and Earn – Present your card to the cashier at Bartell Drugs to earn for your school or non-profit. If you shop at PCC and don’t have a PCC Scrip Card, purchase one and earn 5% for View Ridge. You can reload the card at the store or online. View Ridge PTA made over $4,000 from View Ridge PCC purchases last year. Consider purchasing one for other family members too! It’s an easy way for VRPTA to raise money.